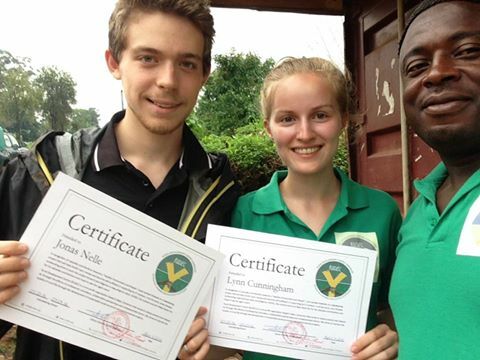 We are Jonas and Lynn, two German-American volunteers currently working for RUDEC. When Joshua told us about the Beekeeping Project, we were fascinated and enthusiastic to push the project forward as much as possible in our 6-week stay in Belo. 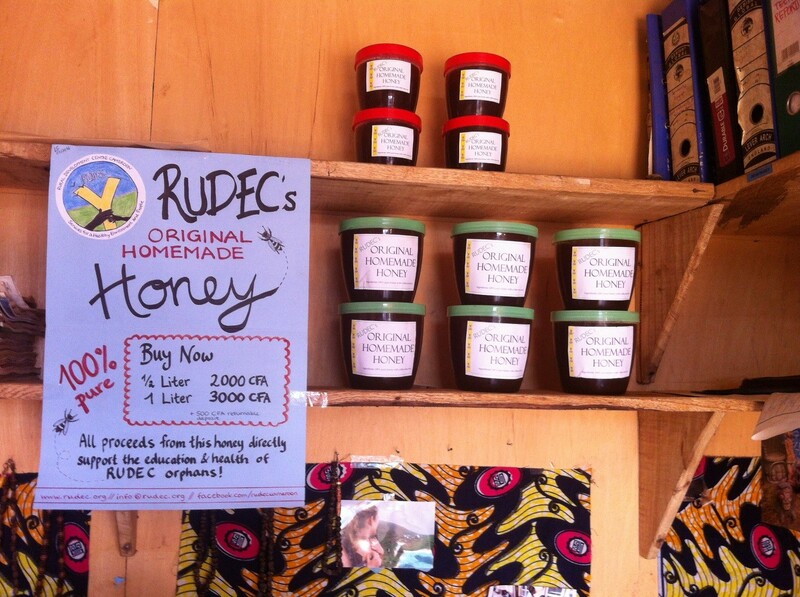 The first thing we wanted to do was visit the RUDEC bee farm. Before we could do that, however, we had to build two more beehives that we could take and install on the farm. 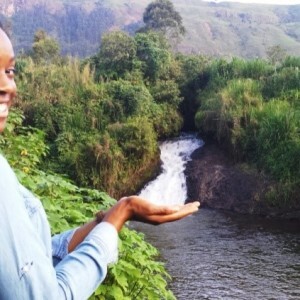 This process was already really exciting for us as it was our very first time seeing how beehives are made. 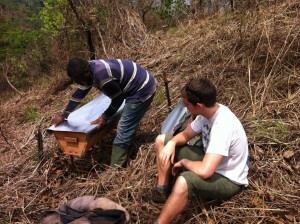 We then got to “bate” the hives ourselves – the process of waxing the beehives to attract bees to naturally colonize them. After a long, exhausting day, we drove back home happy and content. The following week, we got to work. 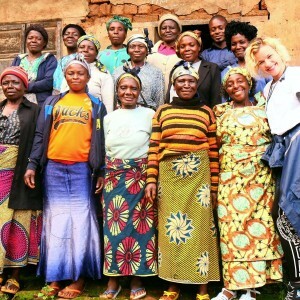 We were motivated to get as many of our family and friends at home to donate a beehive. After making a financial overview of the project, we made an informational flyer about the project as a whole as well as donation options. 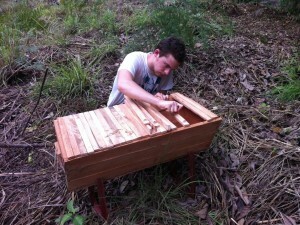 We then went on Facebook and spread the word – with success: in the course of 1,5 weeks, over 12 beehives were donated! 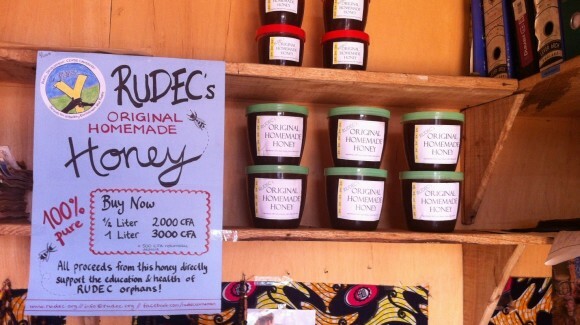 In the meantime, we critically noticed how the delicious pure RUDEC honey stood unnoticed in opaque plastic containers without any label whatsoever. Lynn designed an advertisement poster to hang up on the shelves next to the honey. We then both designed new honey labels. 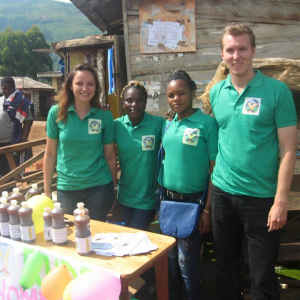 Together with Joshua, we drove to Bamenda on the search for better honey containers. After a long search, we finally found what we were looking for and headed home with a huge bag full of containers. We were very proud of the final outcome. 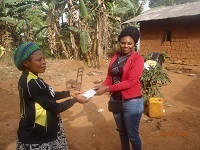 When we received all the money from the beehive donations, we got to work. 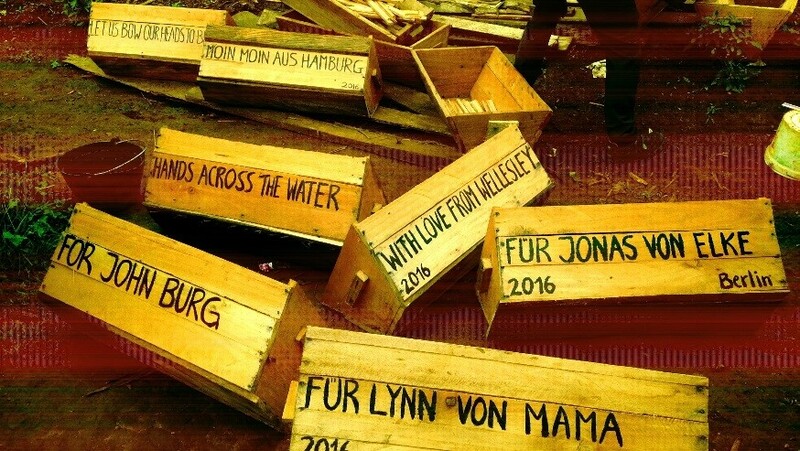 After buying all the materials and assembling them, we custom inscribed each of the hives (a new feature we had thought of). Sadly, we were not able to carry all of the 16 beehives at once to the bee farm, but we started off with two and installed them on the farm. 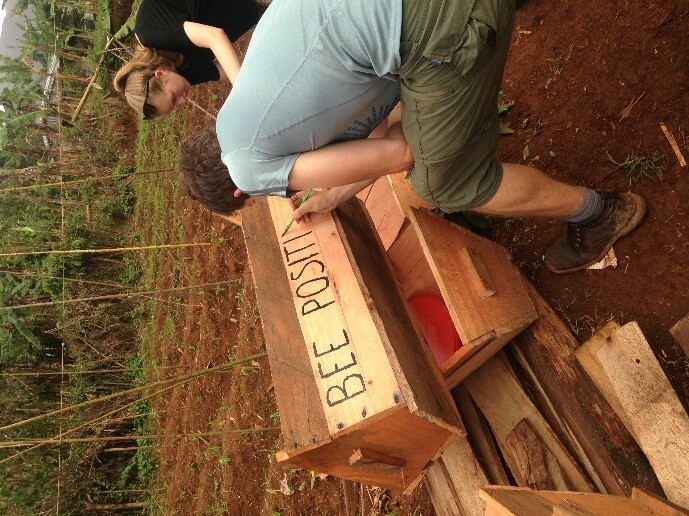 In our last week in Belo we plan on installing the rest of the donated hives. 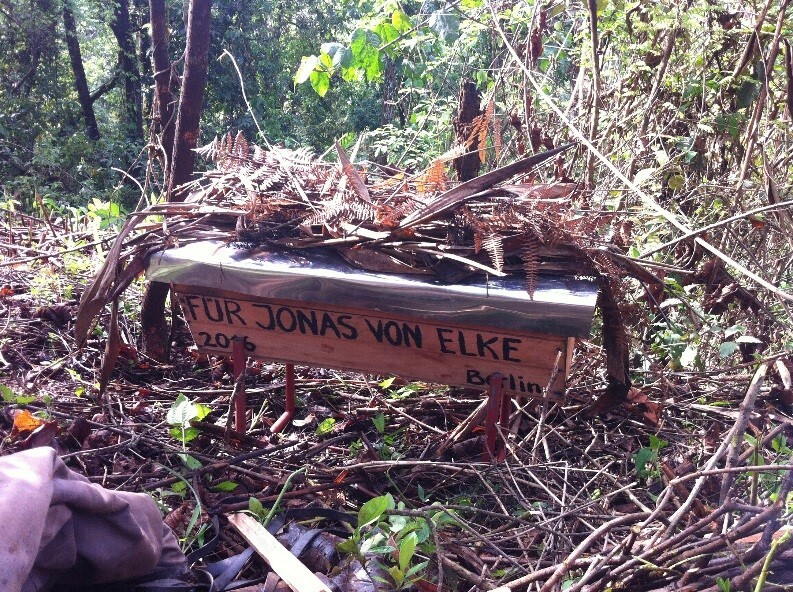 Here you got some more pictures for insights. 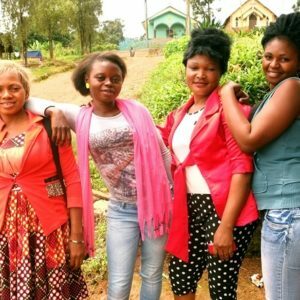 Empower women through micro-entrepreneurshipOur new Website is online!